We fully appreciate that installing signs to the exterior of your building takes careful management. 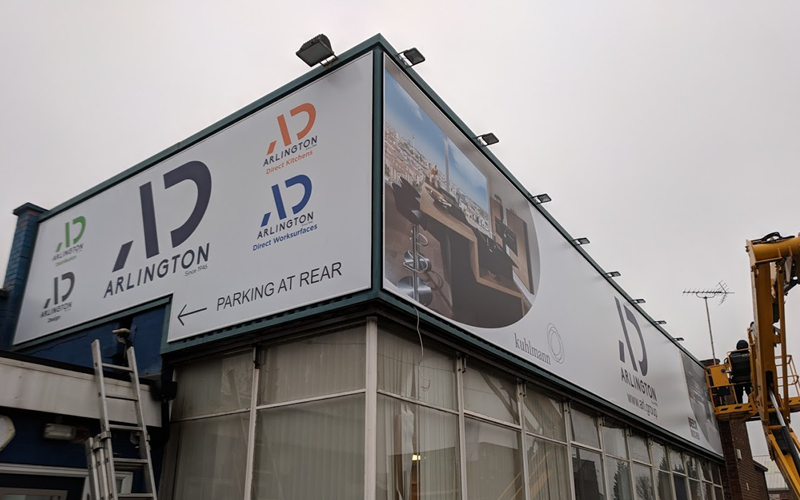 Whether you need a new sign over your front entrance, car parking signage or freestanding branding, you’ll want everything to be perfect and so do we. Our signage team is highly experienced and will take care of everything for you. To ensure everything runs smoothly we will survey your site, meticulously measuring all aspects and assessing weather conditions, gradients and positioning. Then we will prepare draft designs and collate material samples. Next we’ll provide prototypes if necessary for testing. Whilst this is in progress we will provide any planning advice you need and will prepare and submit all risk assessments and method statements. Finally we will confirm a comprehensive fitting and roll out plan with you. Effective project management is the key to the success of large sign projects like these and with CSDPrint you can be assured you will be in safe, capable and creative hands.